Our next monthly meeting is Saturday morning, May 18, 2019. The meeting schedule for the year can be found here. Our normal monthly meeting is held on the third Saturday of each month at the Leesburg Holy Trinity Lutheran Church located at 605 West Market Street, Leesburg, Virginia 20176. The meeting starts promptly at 0830. The only exception to this time is in March (due to Virginia QSO Party). 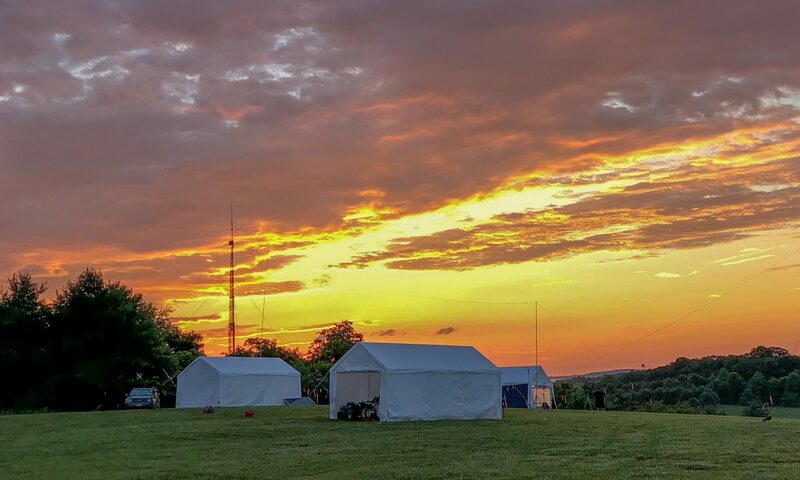 In March we have the meeting on the 2nd Saturday to accommodate the Virginia QSO Party that occurs on the third Saturday of March each year. A weekly lunch is shared every Monday at noon at the Leesburg Wegmans. We get our lunch from the buffet and then move on upstairs for this informal gathering of club members where tall tales of all kinds are told. A large group of members attend the DAYTON Hamvention each year which is held the Friday through Sunday on the 3rd weekend in May. And finally our yearly holiday evening and dinner is held at a local venue at a time near mid-December.